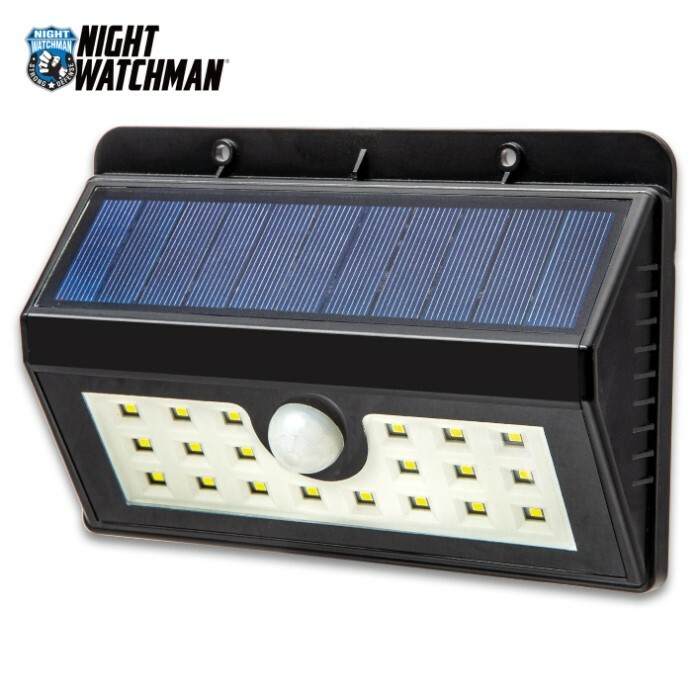 Night Watchman Solar Outdoor Motion Wall Light - 20 LED Lights, Three Lighting Modes, Made Of Tough ABS, Li-Ion Battery | BUDK.com - Knives & Swords At The Lowest Prices! 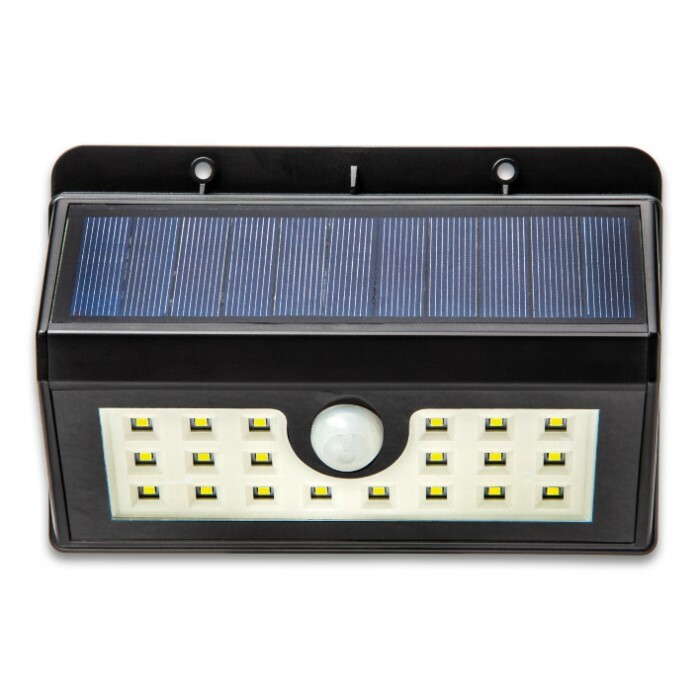 Our Night Watchman Solar Outdoor Motion Wall Light gives you a super bright security light wherever you need it and best of all the integrated solar panel makes it energy efficient! 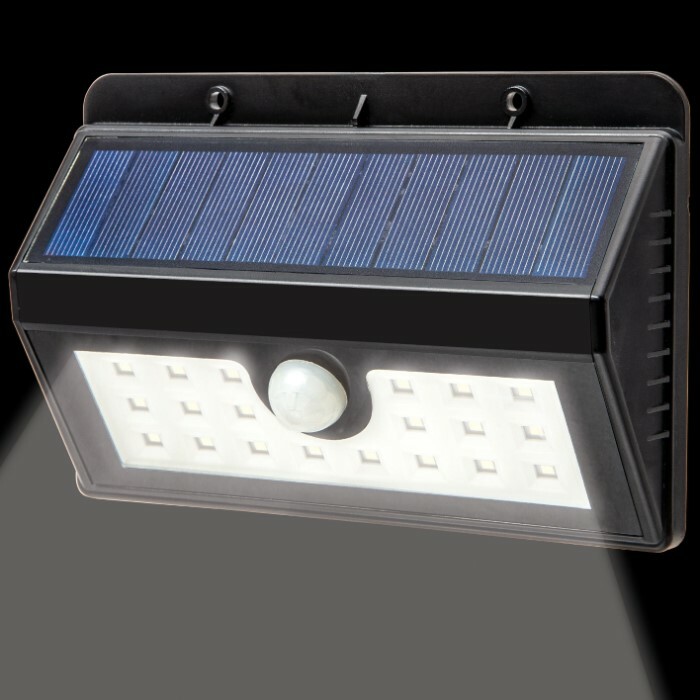 The outdoor light is constructed of tough ABS and has 20 LED lights, which are powered by a solar charged Li-ion battery. There are three different modes of operation and the battery is fully charged with eight hours of adequate sunlight. The sensor mode keeps the light off during the day and turns it on when the motion sensor is activated, turning off at 15 seconds of no movement. The dim mode keeps the light off during the day and turns the light on dim during the night, brightening when motion is detected. The high mode keeps the light off during the day and turns the light on fully during the night, lasting up to six continuous hours. The mounting hardware is included. Buy one for each side of your house and you will always be alerted if there is something suspicious going on at night!